Borrowing money to finance a real estate purchase is about to become more expensive for some homeowners. Fannie Mae and Freddie Mac will charge higher fees on loans to borrowers who don't put down at least 20 percent or who have credit scores of 680 to 760. The Federal Housing Finance Agency (FHFA), which regulates Fannie and Freddie, is imposing the new fees in order to level the playing field between the government-owned companies and private providers of capital. Separately, the FHFA said it would study reducing the loan amounts that Fannie and Freddie guarantee by to $400,000 from the current level of $417,000. Those changes would not take effect before October 2014. Meanwhile, the Federal Housing Authority loan limits are set to change. Loan limits currently can’t exceed 125 percent of the median home price for a given county, with a national ceiling of $729,750. Those limits, which were enacted by Congress five years ago and extended repeatedly, expire at the end of the year. Beginning next year, the FHA will only be able to guarantee loans up to 115 percent of the median home price, ranging between $271,050 and $625,500. The real estate industry is going to fight these changes, claiming that they will kill the housing recovery. The anti-bailout crowd will respond by saying that the country needs to reduce the government's role in housing. 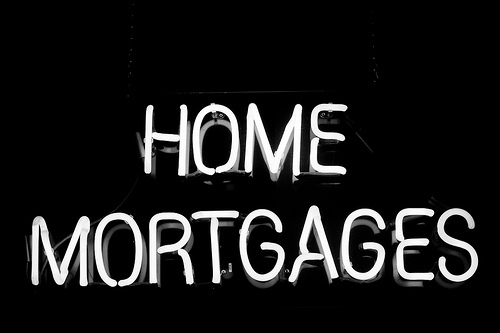 Regardless, if you are in the market for a mortgage or a re-fi right now, it would be prudent to move the process along!